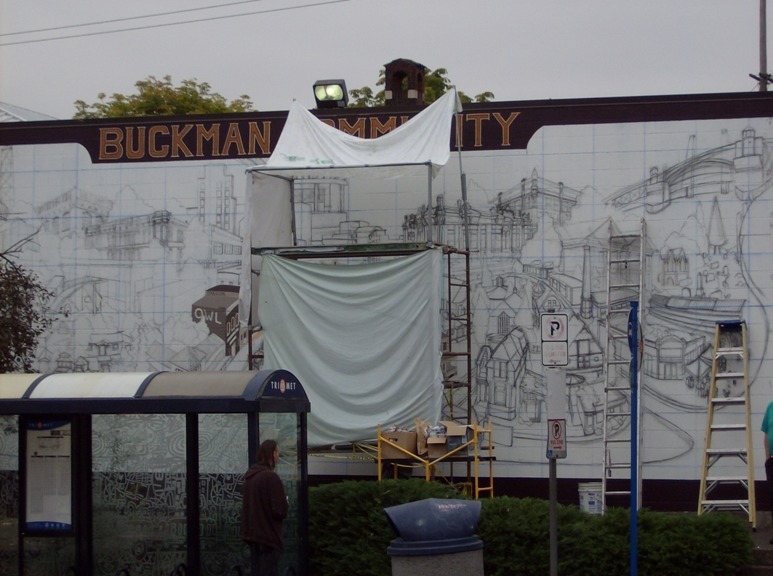 Work is underway on the replacement of the Buckman mural on the south side of the Plaid Pantry store at SE 12th & Morrison. It is 640 sq. ft. in size and is being created in cooperation with the Buckman Community Association with funding from the City of Portland through the Bureau of Environmental Services, Community Benefit Opportunity Program. Murals provide a unique opportunity for expression by weaving individual elements into a visual whole on a large scale. The Buckman mural takes this approach by combining historic, architecturally interesting buildings, people and places with contemporary people, activities, settings and other relevant themes such as sustainability. The composition of the Buckman mural is anchored on both ends by the Hawthorne and Burnside bridges. The Center of the mural will depict early Buckman in sepia tones and it will transition to full color as it moves outward in both time and space. The foreground will depict a variety of people walking, bicycling and conducting daily life activities in the present time. Features include the Eastside Esplanade, the big dig, the Willamette River, Lone Fir cemetery, the area under the Morrison bridge and some prominent buildings on the Portland skyline. The artist, Joe Cotter, has been painting murals in Portland and the surrounding area for 20 years. 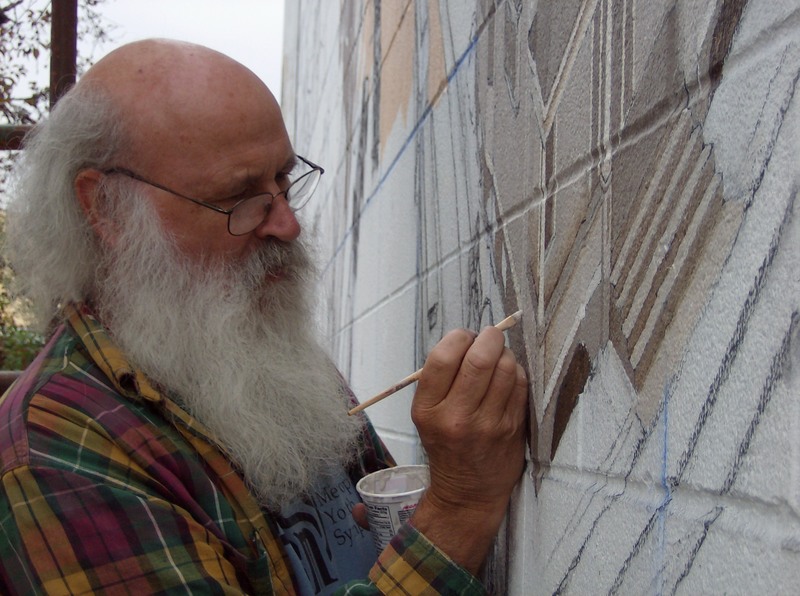 Most recently, he was lead artist for the 2008 mural in Estacada, painted by members of the Artback Artists Cooperative. The finish date of this mural will most likely be in December.